In the Times yesterday was the announcement of George’s death – the third Old Dragon to have been killed on August 16th (along with Alan Cam and Hampy Jefferson). George and the 2nd Royal Dublin Fusiliers were supporting the Royal Irish Rifles and the 9th Royal Dublin Fusiliers in the attack at Frezenberg and all have suffered heavy casualties. 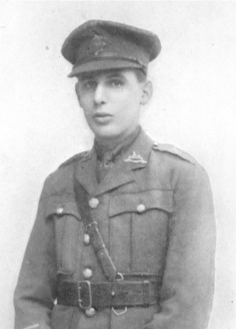 In May 1917 George was commended for his gallantry in a raid when he had a narrow escape. He performed a heroic action in carrying a wounded man for 300 yards over No Man’s Land. For this he received the honour of a ‘parchment’ – a thing peculiar to the Irish Brigade. George was only with us for a year (1911-12), but his cheery nature and merry smile that was never missing from his handsome face, won the affection of all of us. When George first tried to enlist last year, he was declared unfit for service due to “defective vision.” He successfully appealed against this decision, this process costing his mother a princely 4 guineas. In just one cruel week, Mrs Falkiner has now lost two sons: in addition to the loss of George, her older son Frederick (who did not come to the OPS), was killed in action with the RFC five days later, on August 21st. 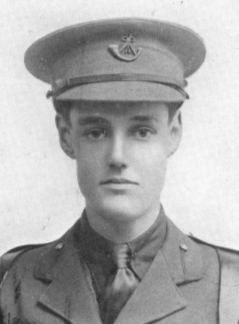 Hampy Jefferson – only 19 years of age – joins the Roll of Honour of those dear boys who have laid down their lives. The exact circumstances of his death are unknown, but it is clear that he was killed leading his troops forward in the attack on Langemarck on August 16th – the same day Tom Cam was killed. 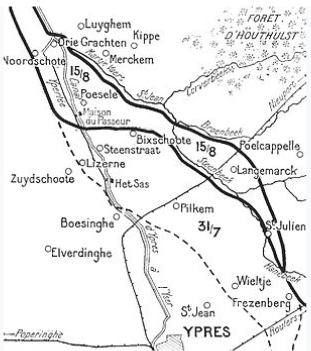 The German concrete strongpoints caused particular difficulties, and their advance of some 500 yards was made at the cost of 65 killed and 105 wounded. Of the officers, all bar two were casualties. He was always the cheeriest of boys at school, full of the joy of living and loving the rough and tumble of rugger. He returned from France injured last November, not with a battle wound, but a badly twisted knee following a football game with his men! He was constantly visiting us and a regular attender of our Old Boys’ dinners before the War. The current battle in Flanders has claimed a second victim from our ranks. 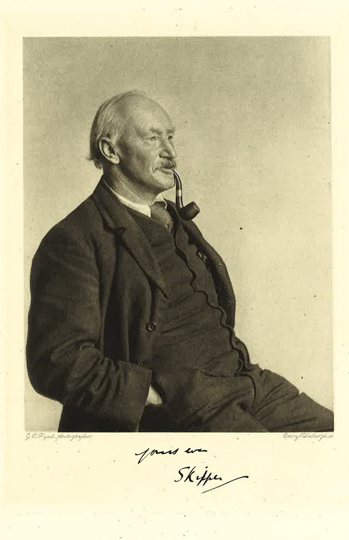 Alan Cam – or rather Tom, as he has always been known to us – has been killed in the battle for Langemarck. 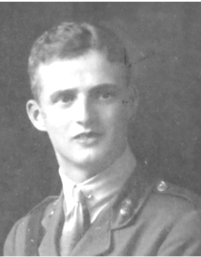 Tom has been in the thick of the fighting in recent months, being attached to the 36th (Ulster) Division. 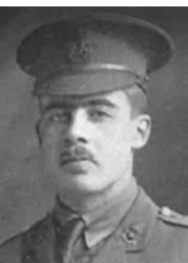 He went through the battle of Messines, being wounded for the first time just before the attack, but refused to report lest he should miss it. Fortune does not always favour the brave. Over a week has gone by since the new battle at Ypres started and it is only now that news of casualties sustained on that first day are coming through. Sadly one of them, as reported in The Times yesterday is Major Alan Jenks, killed by a sniper on July 31st. 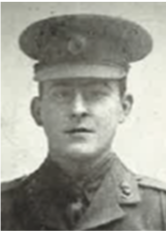 This was Alan’s way, winning the MC in 1915 “for conspicuous gallantry and ability… He made a valuable reconnaissance of the enemy’s trenches and in the ensuing fight displayed great personal dash, initiative and resource.” He was twice mentioned in dispatches. Alan wrote us a most amusing letter at the end of last year, recalling his school days and complaining that water in France fails to flow downhill. Fluff Taylor has written in reply to Hugh Sidgwick on the subject of a Memorial Chapel being built at the OPS after the War. He says that he is very much in favour of the school services continuing as they are, with the boys playing an active part, and hopes this would be possible in a consecrated chapel. Lieut.-Col SC Taylor DSO – £50; CRL Fletcher – £200; Lieut. AH Sidgwick – £20; GC Vassall – £30; The Hon. AI Mayhew – £10. Total: £310. After further discussion, a Committee will be appointed to settle what form our War Memorial shall take. With a new battle now raging around Ypres, one can only imagine that a number of our Old Boys are currently fighting for their lives. The days that follow are going to be ones of even greater worry for their families and friends, and we all hope and pray that they come through it safe and sound. Term time is always eventful and at the end of it there are always a number of small items of interest that are worth recording. We had a record number of boarders (75) this term. However, I have heard it suggested that the number of boarders is too large – let me say that it is only by having a large number that I have been able to hang on without raising the fees and without in any way cutting down the food of the boarders and day boarders. We have had potatoes regularly, no meatless days and plenty of bread – the only rationing has been in sugar and each boy has had first his eight and latterly his six ounces per week besides cooking sugar, also golden syrup and always jam. One result of our boarding numbers was that six of the older boarders have been sleeping out, some of them occasionally in a tent and they were good enough voluntarily to surrender the pleasures of dormitory life. Early morning bathers with boarders’ tent in background. Earlier in the term, the School came to the rescue of one Lieut. 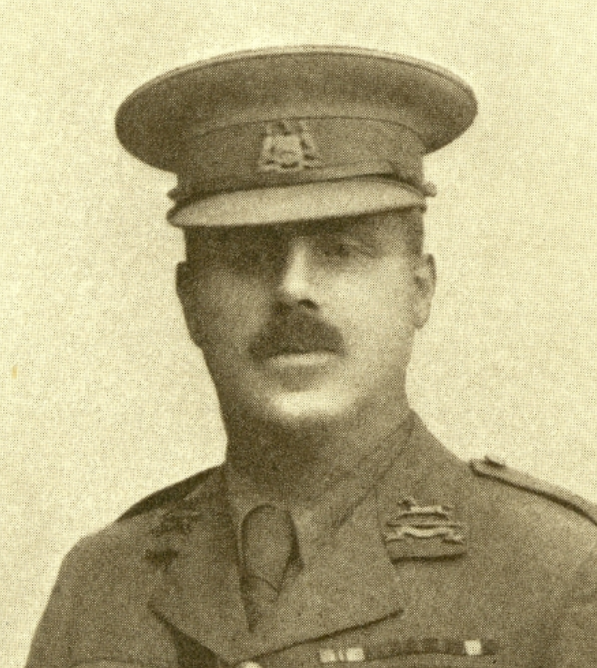 DH Clynes, who interrupted a drawing lesson “on the banks of the Cher” by falling into the river out of a punt. He was rescued, dried, re-clad and refreshed, and to mark his gratitude he presented a Swimming Cup. 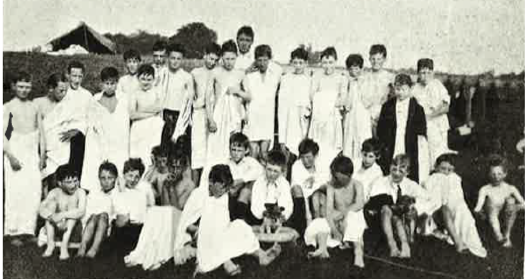 The competitors swam in their clothes and the race was won by Max Adamson. It was not only soldiers this term who were in the wars. Little Laurie Salkeld, whilst winding up the caravan engine, got a backfire and broke his wrist. Francis Wylie, too, got run over by the roller when rolling the pitch, but most fortunately escaped severe injury and is now all right again and so is Laurie. Mr Archer Vassall (GC’s brother) has written to us from Harrow on behalf of the Food (War) Committee of the Royal Society. He has asked that in the autumn the boys collect horse chestnuts (the nuts, not the husks) and take them to the Station Master at the nearest Railway Station, who will forward them free of charge to the correct destination. Horse chestnuts will set free grain for food, as they can be used for a process in which grain has now to be employed.